What are IVC Filter Complications? 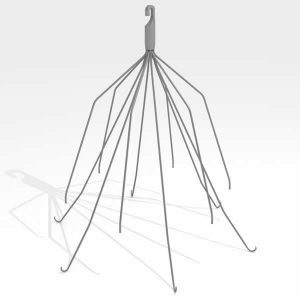 Inferior vena cava filters, known as IVC filters, prevent many cases of pulmonary embolism when patients cannot use traditional blood thinning drugs. Surgeons implant these tiny, octopus-shaped filters in a leg vein to snare blood clots before they can reach the heart or lungs. Unfortunately, though, there are several IVC filter complications that all patients should be aware of. Many of these complications can be deadly. If you suffered serious complications because of an IVC filter in Toledo, you may be eligible to file a claim for compensation for your related losses. Gallon, Takacs, Boissoneault & Schaffer Co., L.P.A. works closely with other law firms representing patients with IVC filter complications. We can help you obtain your medical records and other evidence necessary to prove your claim, and file for compensation. Call our Toledo office at 419-843-6663 to schedule a time to discuss your case with one of our IVC filter lawyers today. What are some common IVC filter complications? Like any medical procedure, there are some manageable complications that may occur during the implantation of an IVC filter. Complications can also occur during removal. The greatest threat for serious complications, however, occurs while the filter is in the vein. The U.S. Food and Drug Administration (FDA) first began tracking complaints about these IVC filters in 2005. Just five years later, it issued a report outlining over 900 complications that occurred while patients had IVC filters in place. It is important to remember this safety alert only lists complications reported to the FDA between 2005 and 2010. With IVC filters still in use, hundreds more experience these complications each year. Most of the complications reported to the FDA were filter migrations, comprising 35 percent of all reported adverse events. In the most benign of the 328 filter migration cases, the filters simply migrated away from their original positions. This migration made them ineffective in preventing pulmonary embolisms, but did no further damage. Filter migration, though, is not always benign. In some cases, the filter can actually travel to the lungs or right ventricle of the heart, leading to serious complications. The purpose of IVC filters is to prevent pulmonary embolisms (i.e., a blood clot in the lungs); while research shows IVC filters may decrease the risk of pulmonary embolism, it can actually increase deep vein thrombosis (DVT), i.e., blood clots in the legs. A study published in the Journal of Vascular Surgery showed a 40 percent incidence of this type of blood clot in patients with IVC filters. These patients did not have a previous history of DVT blood clots. DVT blood clots can also move to the lungs and become a pulmonary embolism. The blood clots that cause a pulmonary embolism can occur in other areas of the body, as well. Research published in the Journal of the American Medical Association tracked 300 patients who received an IVC filter after a pulmonary embolism. At least six suffered another fatal pulmonary embolism in the first 90 days after filter placement. The FDA report listed 70 cases of vein perforation. When an IVC filter — or a part of the filter — punctures the vein, bleeding occurs. This bleeding under the skin is usually minor and results only in bruising, swelling and tenderness. Occasionally, this may lead to excessive swelling, a significant internal bleed, and/or infection. A study published in Cardiovascular Interventional Radiology linked this type of perforation with filters that remained in place for longer periods of time. The study, which examined the medical records of 272 patients with IVC filters, found problems with all the filters within the first 71 days. Perforation can happen even earlier, according to a 2015 study published in Vascular Interventional Radiology. This study found that some brands of IVC filters had a perforation rate as high as 43 percent after just two months. In addition to the entire filter perforating the vein or migrating to another location, the metal legs can break off the filter and cause similar issues. The FDA’s report included 56 cases where the filter fractured in some way. Because the pieces of a broken filter are much smaller than the whole filter, the pieces can more easily travel in the bloodstream and migrate to other areas of the body. The only way to prevent all complications related to IVC filters is to avoid using the implants. However, they are sometimes the best option when the patient’s condition contraindicates blood thinning medications. When an IVC filter is necessary, the best way to reduce the risk of complications is to remove the device as early as possible. Since 2014, the FDA’s recommendation is to remove these filters between 29 and 54 days after implantation. Sometimes adverse effects occur even during this period. Who should I call if I believe an IVC filter contributed to my decline in health? At Gallon, Takacs, Boissoneault & Schaffer Co. L.P.A., we understand how stressful it can be when you face serious health issues. To learn that your treatment actually put you in additional danger or led to complications only adds to the emotional toll. If you suffered any adverse effects after an IVC filter implantation procedure, we would like to talk to you. Call our Toledo office at 419-843-6663 to schedule a time for a free case evaluation with one of our knowledgeable IVC filter lawyers.